Now in paperback, to tie in with the publication of Phillip Done’s new hardcover Close Encounters of the Third Grade Kind from Center Street, 32 Third Graders and One Class Bunny “brings the joys and terrors of elementary school back to life” (The Washington Times). Phil Done has taught elementary school for twenty years. He fixes staplers that won’t staple, zippers that won’t zip, and pokes pins in the caps of glue bottles that will not pour. He has sung “Happy Birthday” 657 times. 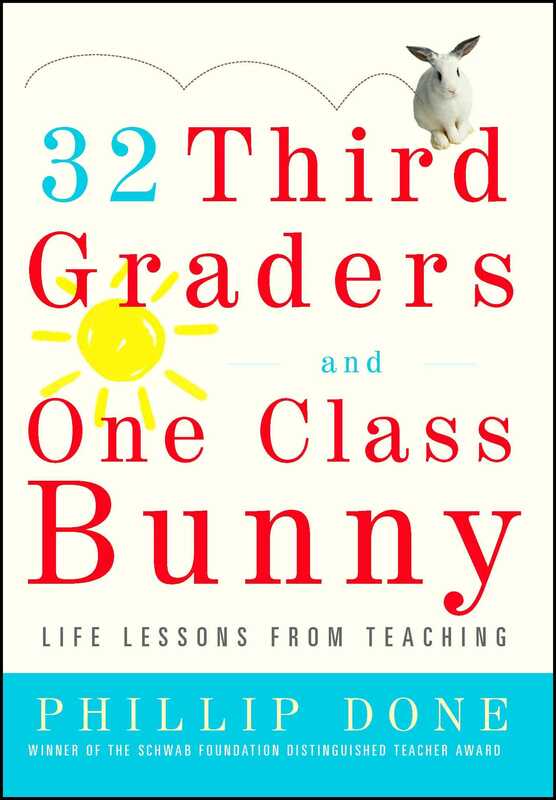 32 Third Graders and One Class Bunny is for anyone who has ever taught children—or been to third grade. This collection of tightly written, connected essays is an “unexpected pleasure…an absolute joy” (Tucson Citizen) and a testament to the kids who uplift us—and the teachers we will never forget. With just the right mix of humor and wisdom, Done reveals the enduring promise of elementary school as a powerful antidote to the cynicism of our times. Phillip Done is the recipient of the Charles Schwab Distinguished Teacher Award. 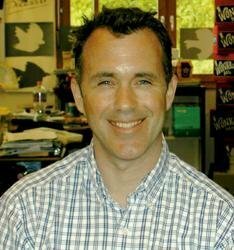 He was a Teacher of the Year in California and a nominee for the Disney Teacher of the Year Award. He teaches in Palo Alto and lives in Mountain View, California. Visit him at PhillipDone.org.